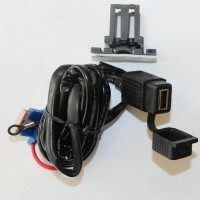 Choose your mounting option below. This is the bikeconsole case for the iPhone7 & iPhone8 (4.7 inch) and is custom made for these models. 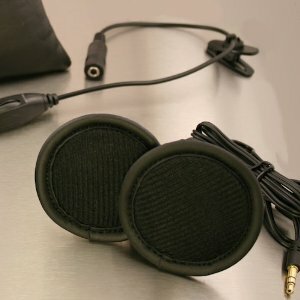 It comes with innovative sealed speaker ports so you can talk on the phone or listen to music when the case is fitted. 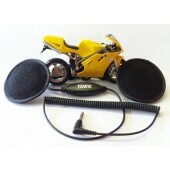 There are also buttons for volume control, wake up and for fingerprint recognition. 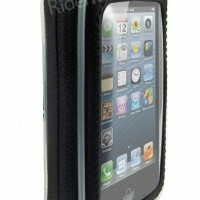 Case is very robust and has improved water resistance (IPX4). 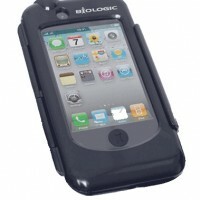 During testing it was submerged in water with no ill effects, although this is not advised. 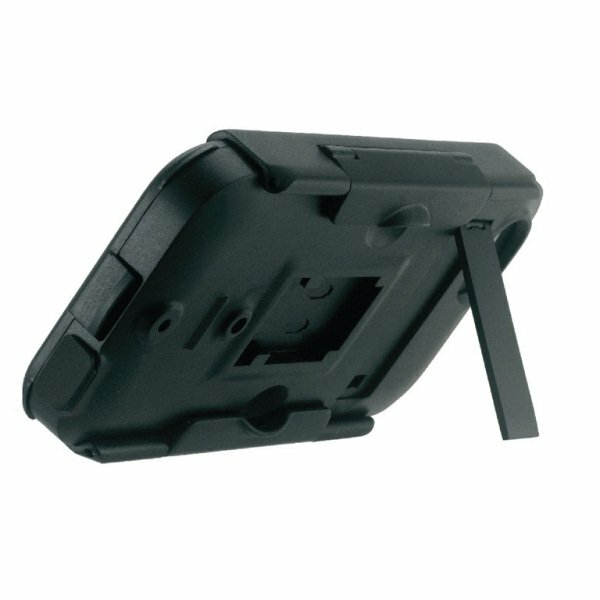 New turn and click mounting system for the iPhone7/8 models requires just to push onto mount and turn until the case clicks on securely. 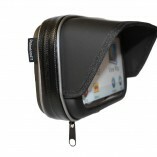 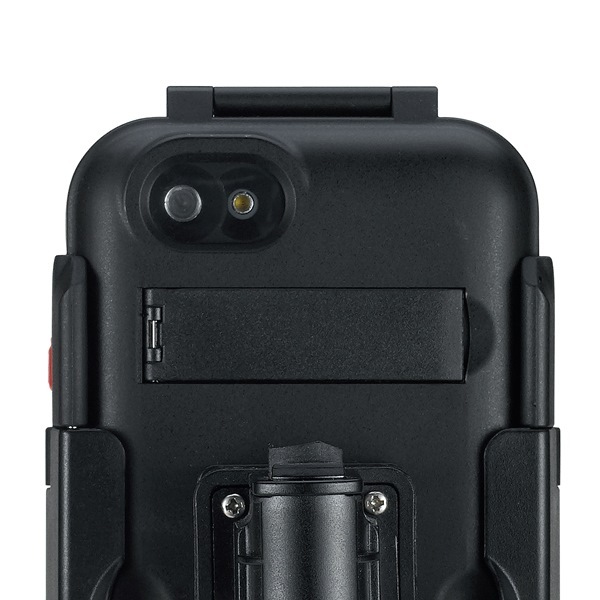 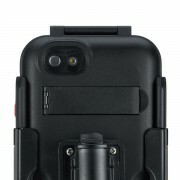 Case can be mounted in portrait or landscape orientation. It can be easily removed from handlebar (one clip) for when out and about and at only 21mm thick can be slipped in your pocket. 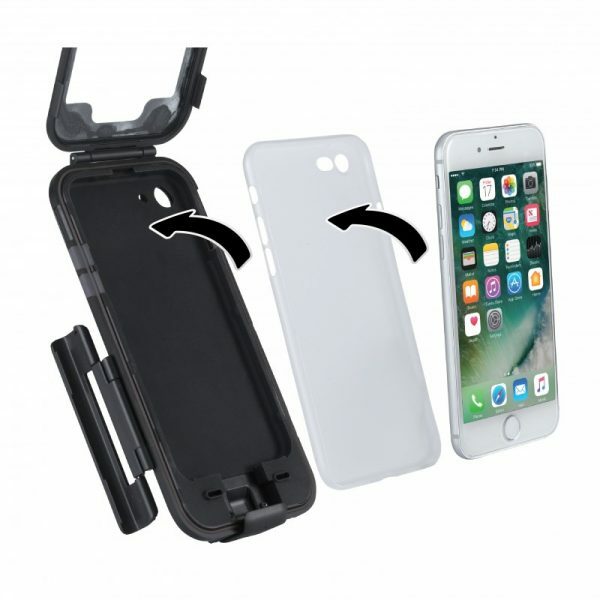 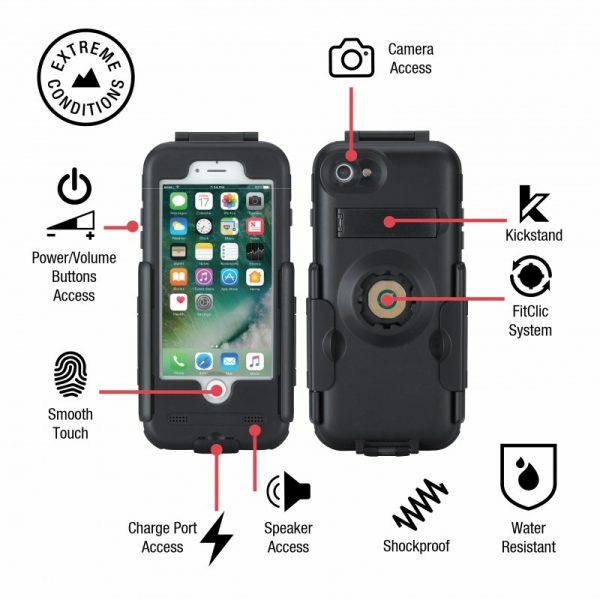 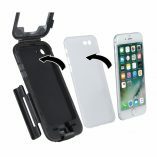 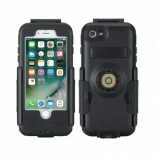 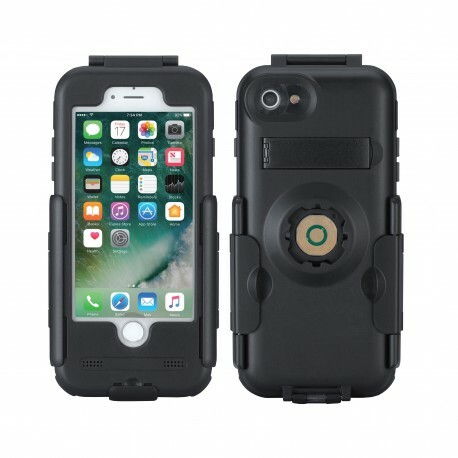 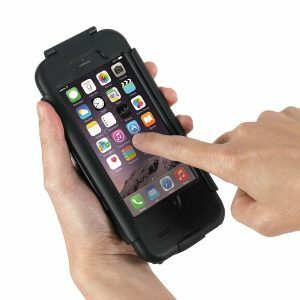 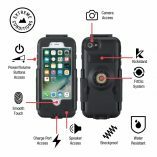 The silicon lining insulates your phone from the weather and shock and the screen enables you to easily operate your phone when in the case and comes with scan through fingerprint recognition. 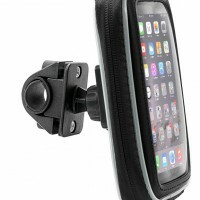 This case comes with integrated kick-stand and cable port to enable you to charge your phone whilst riding. 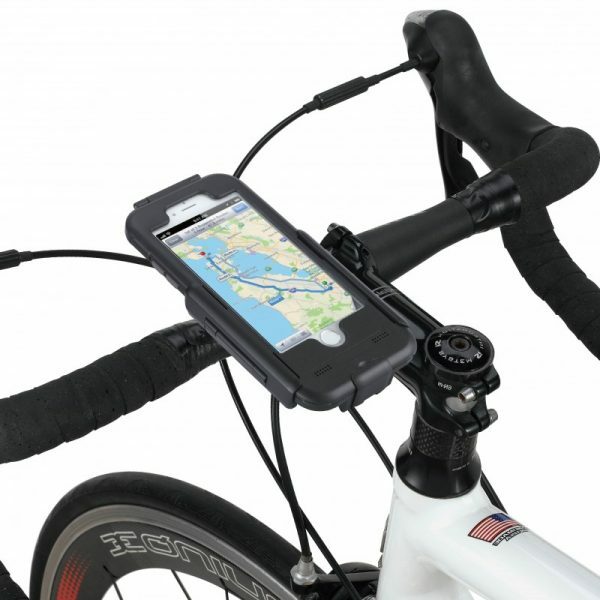 This case is available with a selection of mounting solutions including a standard handlebar strap mount as well as RAM mounting solutions.